This Adorable little sea turtle soap sits in the palm of your hand! They're rather small, hence the price. 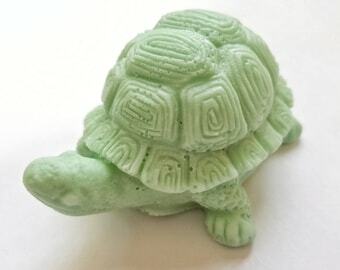 Your kids (or - who are we kidding... YOU ) will just LOVE this super cute soap! 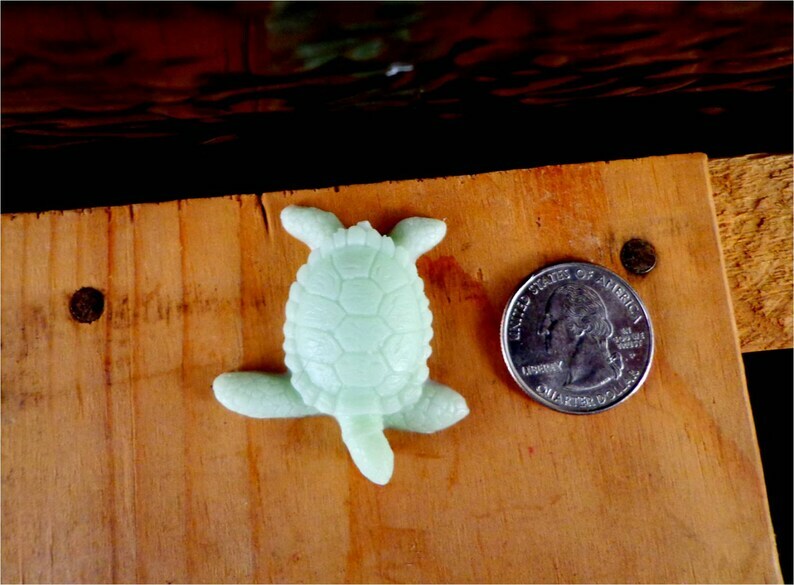 Dimensions: The turtle soap is roughly 1.5 inches from head to tail and an 1.75 inches (flipper to flipper) across. So cute and perfect! The detail is amazing. Tiny and so cute. Just set them anyplace.